The “Downton” Era (1910s and 1920s) was a time or expansion of ideas, but for a tightening of funds in large manors, or, in the case in America, smaller landed estates. 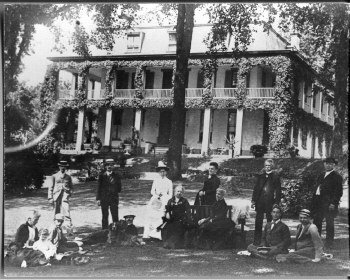 “The Terrace,” as it was called in Meadville, was the undisputed millionaire’s row of the city which, along with upper Chestnut Street and a few smaller neighborhoods interspersed throughout town, boasted the Huidekoper, Reynolds, Magaw, Boileau, and Shryock families. Many of these homes were estates in their own right, the Reynolds family (of the Baldwin-Reynolds House) owned land adjoining Bentley Hall at Allegheny College down to French Creek and the Huidekoper family once claimed ownership of much of the upper Chestnut area, Grove Street being named after a large orchard and forest in that location connected to their properties. 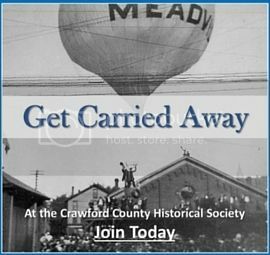 The 1910s and 20s, however, amid the First World War, the Jazz Era, and and expansion in the middle class in Crawford County due to Talon and other manufacturing, was the end of the great estates of Crawford County, PA. 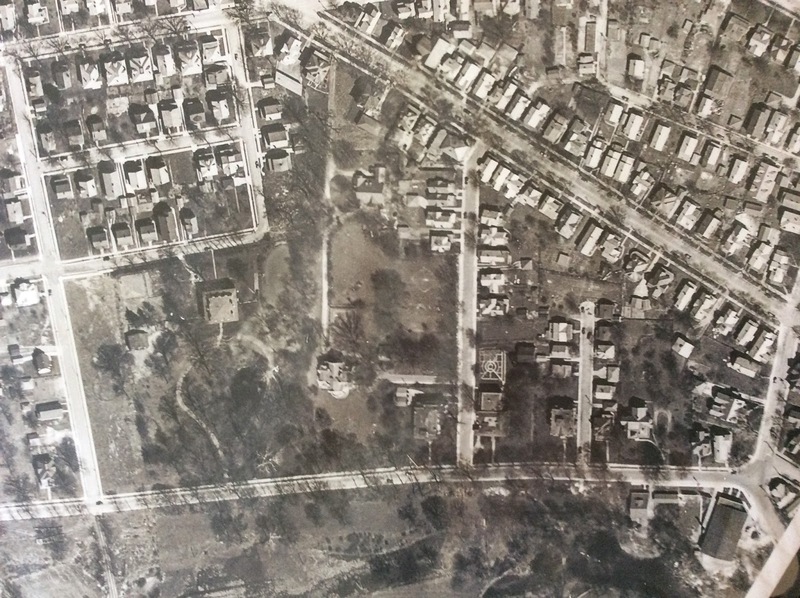 Houses in Meadville and Titusville alike were losing staff to industrial positions and losing ground to new housing as it was sold off to maintain the way of life the families in these houses were accustomed to. This aerial photo from 1935 shows “the Terrace,” complete with gardens around the houses (one even has a formal English garden), a tennis court, and a wave of new housing directly behind all of these properties. A few decades earlier, with the exception of outbuildings and a few dwellings for farm hands or tenants, this map would have shown five or six mansions, and little else. The era of estate living was quickly becoming a thing of the past, both here and across the pond.